The title of this product name is Ethanol from Cassava and came from Ayeyarwaddy region in Myanmar. Ethanol has various industrial uses and important in the pharmaceutical, cosmetic industry and so on. High quality at a great low price for choice, if you are interested in our products, please feels free to contact us. 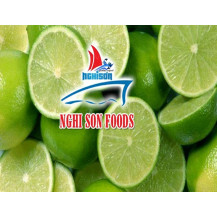 The product name is Myanmar Mango and the name of product is Sein Ta Lon. Tt is ripe and the color is yellow. We also have GMP, HACCP, ISO certificate. All of our product are fresh and best quality. If you want to know more details, you can ask by chat box. We are is Company name : ASIA SME EXPORT &amp; IMPORT CO., LTD. in Thailand the Beverages Wholesalers, Distributors &amp; Manufacturers of Basil seed drink with fruit flavor. Which is nutritious and good for health and are getting famous in foreign country. Our Product have are certified by GMP, HACCP, HALAL, ISO and the Best production system. At present our company has more than 20 variety of basil seed drink with fruit flavor Basil Seed Drink with different flavors are available 1. Basil seed drink with flavor honey 2. Basil seed drink with flavor apple 3. Basil seed drink with flavor orange 4. Basil seed drink with flavor mango 5. Basil seed drink with flavor lychee pineapple 6. Basil seed drink with flavor banana 7. Basil seed drink with flavor mint 8. Basil seed drink with flavor passion fruit 9. Basil seed drink with flavor pomegranate 10. Basil seed drink with flavor tamarind 11. Basil seed drink with flavor strawberry 12. Basil seed drink with flavor peach 13. Basil seed drink with flavor blueberry 14. Basil seed drink with flavor mangosteen 15. Basil seed drink with flavor lemon 16. Basil seed drink with flavor aloevera 17. 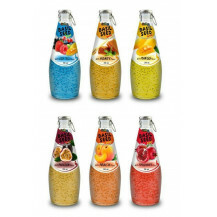 Basil seed drink with flavor apricot 16. Basil seed drink with flavor cocktail 17. Basil seed drink with flavor melon 18. Basil seed drink with flavor watermelon 19. Basil seed drink with flavor guava 20. Basil seed drink with flavor coconut water with pulp HS-Code : 22029090090 Minimum Order per flavor for 24 Bottles/Carton Pack 260 Cartons (can mix up to 5 Flavors for 1X20 FCL) and for 12 Bottles/carton Pack 360 Cartons (can mix up to 7 Flavors for 1X20 FCL) Premium Quality and Nice packing ; we have very unique and premium carton box 12X290 ml Glass bottle , 2519 cartons per 1X20 container and also carton with 24X290 ml Glass bottle, 1300 cartons 1X20 container MULTI language Label ; Our Brand label has 2 languages and ready for different markets , ENGLISH -THAI and we can add more languages according to your request. BASIL SEED Drink has many benefits, check some of them ; Health benefits: Cooling – they are cooling, which is why they are added to many cool drinks like falooda, roodafza, nimbupaniand sherbets. Colds etc. – they are good for sore throats, cold and respiratory disorders. Digestion – they can aid in digestion and relieve constipation. Stress relief – they can have a calming effect and can uplift your mood. Skin relief – they are good for skin infections. Weight loss – they can curb your appetite if you consume them in a gelatinous drink before a meal. Nutritional benefits of basil seeds: Basil contains many polyphenolic flavonoids especially Orientin and Vicenin. These provide the antioxidant benefits. Basil leaves are rich in many essential oils like eugenol, citronellol, linalool, limonene, citral and terpineol. These provide antibacterial and anti inflammatory benefits. Low in calories and free of cholesterol. High levels of beta carotene, lutein, zeaxanthin, Vitamin A and Vitamin K. Contains good amounts of minerals like potassium, manganese, copper, calcium and magnesium, and vitamins C and folates. Excellent source of iron at 40 percent RDA per 100 grams. Tender Coconut Water Tender coconut water refers to the liquid endosperm of a tender coconut at an age of approximately 9 months from time of pollination. It is a pure and nutritious beverage in the natural state. The coconut husk is an excellent package for the water which contains sugars, minerals, amino acids and vitamins. Tender coconut water is a natural source of electrolytes, minerals, vitamins, complex carbohydrates, Amino acids and other nutrients. The natural carbohydrate content is between 4-5% of the liquid solution. This make coconut water particularly suitable for the burgeoning sports drink market. Isotonic and bacetriologically sterile properties of fresh coconut water, straight out of the nut, promoted its use as a direct plasma replacement by military. The benefits of tender coconut water includes : 1. Oral rehydration 2. Keeps the body cool 3. Excellent tonic for the old and sick 4. Improve malnourishment 5. Effective in the treatment of kidney and urethral stones 6. Found as blood plasma substitute because it is sterile, does not produce heat, does not destroy red blood cells and is readily accepted by the body. 7. Urinary antiseptic and eliminates poisons in case of mineral poisoning. Tropical Pure Tender Coconut Water : No preservatives, no artificial colours and no artificial flavor. It is processed and packed from FREEZE-DRIED pure tender coconut water. 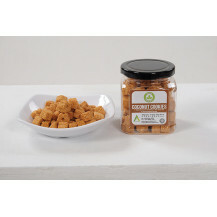 It is high in POTASSIUM, CALCIUM, PHOSPHORUS AND MAGNESIUM, and less in calories, fat and cholesterol free. 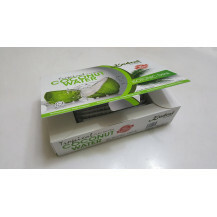 Ingredients : Tender coconut water Packaging : 20g x 12 sachets per box. Dosage : Pour 150ml of cold / hot water over the tender coconut water powder in a cup. Stir and serve. Consume 1 to 2 times a day. 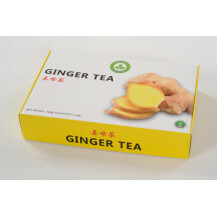 Ginger Ginger is a common food ingredient used in Asian cuisine. 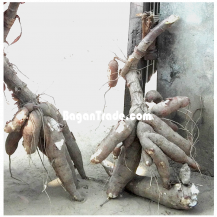 The root or underground stem (rhizome) of the ginger plant can be consumed fresh, dried and powdered as spice and in oil form or as juice. The health benefits of ginger includes : Improves blood circulation Provides our body with the necessary oxygen, vitamins and minerals Relieves headache, pain and sore muscles Cleanses the liver Reduces the risk of stroke Mason Original Ginger Tea : No preservatives, no colouring, no additives. Ingredients : Ginger powder, brown sugar. No preservatives, no colouring, no additives. Packaging : 10g x 10 sachets per box. Dosage : Pour 100ml of hot water ( or adequate volume of boiled water to desired taste ) over the ginger tea powder in a cup. Stir and serve. Consume 1 to 2 times a day. Roselle Roselle is native from India to Malaysia, where it is commonly cultivated. It has been widely distributed in the Tropics and Subtropics of both hemispheres, and in many areas of the West Indies and Central America. Roselle is attracting the attention of food and beverage manufacturers and pharmaceutical concerns who use it as a natural food product and as a colorant to replace some synthetic dyes. Nutritionists have found roselle calyces to be high in calcium, niacin, riboflavin and iron. The health benefits of roselle includes : Provides high level of antioxidants Lowering blood pressure Helps to relieve coughs Promoting metabolism Mason Original Roselle Tea : No preservatives, no colouring, no additives. Ingredients : Roselle powder, brown sugar. Packaging : 10g x 10 sachets per box. 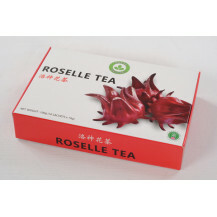 Dosage : Mix 100ml of hot water over the roselle tea powder in a cup. Stir and serve. Consume 1 to 2 times a day. Mason Original Coconut Cookies Mason Original coconut cookies is processed from desiccated coconut, which is a common food ingredient in Malaysia. Its original taste and flavor of coconut make it most popular and liked by many Malaysian. Ingredients : Desiccated coconut, bread crumb, sugar. Packaging : 100g per plastic container. Coconut Nectar Coconut nectar is derived from the sweet sap that results from tapping the thick flowering stems of the coconut blossom. This sap is further evaporated at low temperatures, producing a raw, low glycemic and nutrient-rich pourable syrup. It has a very pleasant sweet mineral dense flavor that we liken to molasses or palm tree fruit with a maple syrup type sweetness. The roots of coconut trees are known to pull up many nutrients from the soils and this adds a lot to the flavor as well as nutritional profile. The health benefits of coconut nectar includes : Contains all essential amino acids. Low glycemic index, does not cause blood sugar spikes. Rich source of nutrients, vitamins and minerals. Has beneficial living enzymes as a raw sugar. Is a whole food and unrefined sweetener. Not chemically treated or processed. Mason Original Coconut Nectar Mason Original coconut nectar is a wholesome natural sweetener which harvested from the coconut sap / neera. It is 100% pure and unrefined, with no additives. It has low glycemic index ( GI35 ). 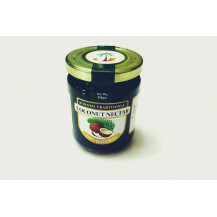 Ingredients : Coconut sap flower Packaging : 268g in wide mouth glass jar. Usage : Use as a natural sweetener in tea, salad dressings, desserts, sauces, marinades and to add flavour to cooking. 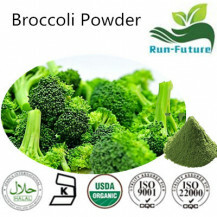 Runherb Corp was founded in 2010 at Xi&#039;an China. It is one of largest manufacturer of natural extracts in China. We are certified with ISO . CGMP . HALAL . KOSHER .The company has a complete production line of extraction, separation and purification that can manage more than 1, 000 tons of raw materials and produce more than 150 tons of standard extract and all types of high purified materials. 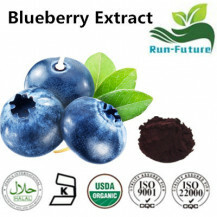 We have the perfectly testing means and strict quality-controling measures, especially for Epimedium Extract, Tribulus terrestris Extract, Rhodiola Rosea Extract, Astragalus Extract,Ginseng Extract,Echinacea Extract,Wolfberry Extract,Phosphatidylserine, Coenzyme Q10 , Ceramide Soybean isoflavones, Europen bilberry powder , Cranberry powder,Milk Thistle Extract that we are very specialized in this industry. making our high-quality products exported to the United States, Europe, Japan, South Korea and other countries and regions, and widely use in the field of food, health, pharmaceuticals, cosmetics, and other fields. Dragon fruit is the natural gift of mother earth because it has many benefits for people’s health. Although Dragon fruit has two colors, there are red and white but the red give more healthy nutrition for people.Nowadays, people use it as cosmetic products,healthy products, food products, jam, juice and so many products for daily life. The other name of Dragon fruit is called Pitya Fruit and Botanical name is Hylocereus undatus. 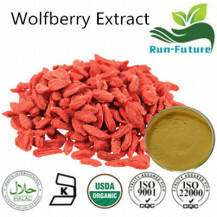 It is rich in antioxidants, protective against the cancer disease. Not only for cancer but also it has an extremely low amount of cholesterol, high fiber content which can assist with poor digestion and constipation. It can stabilize blood sugar levels and keep the skin tight and young. It is excellent fruit for treating colored hair. Our fruits from Southern Shan State from Myanmar. 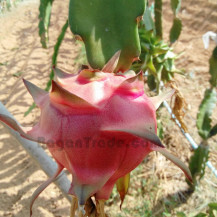 Our dragon fruit is fresh because we cultivate on excellent fertility farm. Our fruit is ready to pick up on May 2016. So Buyers can contact via our email or [email protected] . BaganTrade.com is the best platform for both suppliers and buyers. We believe and faithful BaganTrade because they make with one stop solution service for us. So you can contact via bagantrade chat box or email. 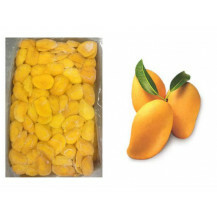 Our keitt Mangoes are Fresh and sweet from Myanmar in large area. 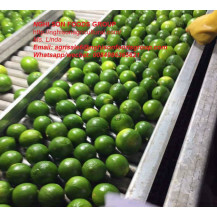 Large oval shape, skin stays green even when ripe and long shelf life. 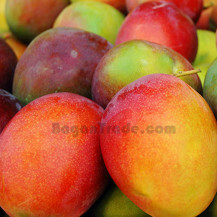 Very Juicy and delicious Mangos from Myanmar Average weight is 500 to 800 grams and 8 fruits per box. We can supply best quality and best price and genuine species. 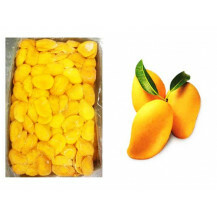 The product name is Myanmar Mango and the Burmese name of product is Sein Ta Lon. It is ripe and the color is yellow. We also have GMP, HACCP, and ISO certificate. All of our product are fresh and best quality. If you want to know more details, you can ask by chat box.